Bake it or Make it: Introducing PinterTest Kitchen! This post is for those who pin. And have blogs. And will reference things like linky parties and linky buttons. you may be asleep already. Or think I've gone mad. If you're like me, you've pinned hundreds of recipes and crafts. Well, it's time to do something with them. And we're going to do it together. Document the process with words and photos. The first Linky Party starts next week! Be there or be a lemon square. Indian summer is here in all it's splendor. But I love fall, too. And by the end of summer, I love fall more. Also, I do not love carpet. I cannot wait to rip it all out. I saw this tweeted this morning. I took a screen shot so you don't even have to click. Also, did you know that if something appears in blue on here it's clickable? In case other people are like my cousin. This weekend, Kim and Emily and I will be in So Cal. We are going to this. And staying at her house. They are all some of my faves. But I'm in the company of some major baking players. And sometimes the sides burn and I have to chop them off. Also, Ashlyn is back at school today! Everybody needs to relax about the new Facebook layout. Mark Zuckergeek has probably changed it 200 times since its' inception. And EVERY SINGLE TIME everybody freaks out. But 5 minutes later we can't remember what it looked like 5 minutes ago. The guy's a gazillionaire dork for a reason. I'm sure he knows what he's doing. Deep breaths, people. It's all going to be OK.
there's ample time to blog. Because there's no more laundry to do. Kind of like having your first newborn. So here is our crazy week. My parents country club celebrated it's 100th birthday on September 10. Even if sometimes it makes me feel like Miss Celia from The Help. It's also paints a great picture of heaven. One big party. Lots of food. That's where the analogy kind of crumbles. Anyway, they had carnival rides. And a too-close-for-comfort-leave-with-shrapnel-in-hair fireworks show. And September 10th may have been a poor life choice date for fireworks. Word on the street is that they had some pretty irate neighbors. But it was an amazing show. Also, Dave and I ran off to Monterey for the night to celebrate our 12th wedding anniversary. He golfed. I slept in. Then we came home to this. Being a nurse even though I hate blood. And puke. And all thing nurse-worthy. But I would do it a million times over. But God is good in all our stuff. And I will say I'm glad this crazy week is over. Our little patient is recovering quite nicely. My goal since surgery has been to keep her looking like Erykah Badu as long as possible. I'm a little obsessed with the head dressing. There's really not much to report. Surgery went well. No complications. She spent some time resting on the couch when we got home yesterday. We gave her a dose of antibiotics around dinnertime. She had some water and a spoonful of Jell-o and then asked for her bed. Where she slept until about 10 pm. She then came into our bed and slept there until morning. She has been seemingly pain-free since the surgery yesterday. Her doctors advised to give over the counter Tylenol if she seems irritable. But we haven't had to do that yet. Dave had a golf trip planned months before her surgery was set. He was ready to call it off but I encouraged him to go. And we both felt comfortable enough with him leaving this morning. Which means things are good. Really good. She has a follow up appointment at UCSF next Friday. At that time we will get her activation date. Likely to be sometime around mid-October. That's when all the fun stuff starts! Thank you for your prayers, texts, phone calls, Facebook messages. Those that came to the hospital yesterday. Those that took care of Kayla. Those that broke into our house and left us food. The beautiful flowers and balloons that arrived a few minutes ago. We have some pretty amazing family and friends. And we have an even more amazing God. We are so thankful that He kept her safe. And even more excited at how He will use her in the future. As I blog the life of my family, it's tempting to only tell you the good stuff. The things that I am excited to share. The happy parts of our story. But that is a disservice. Tomorrow morning we will drive our little girl up to San Francisco. And hand her over to a surgeon that we've only met four times. And that surgeon will cut behind her ear and drill into her skull by the time most of you are eating breakfast. But it's our reality today. And I will be honest to say. I know that she is God's child. On loan to us for a time. But we still have to make decisions on her behalf. We are thrilled. And excited for the technology that is available to us. Thankful for excellent insurance that pays for the entire procedure. But anxious at the process that gets us there. All that come in contact with her tomorrow. Would you pray for Ashlyn? That she would understand this is for her good. That we are trying to do what we think will be best for her. That she would feel minimal, if no pain. And that the device would work well for her. That she would benefit from it. We are incredibly grateful for our family and friends. 12 years ago today two kids got married. One was an EMT/Paramedic in training. The other thought it would be cute to get married on 9.11. So the EMT/Paramedic in training would never forget. Even though the EMT/Paramedic in training always got the bad wrap for the geeky idea. Little did we know that 2 years later it would become a day no one would forget. I can't wait to run away with you. Oh the wondrous glories of social media. Finding out that AMR is relocating most of our dispatch center to Sacramento. And that you and 45 of your closest dispatch friends are getting pink slips. My part-time life in the blue room as I've known it for the past 4 years ends on October 31. And these ugly man pants and shoes are going straight to the GoodWill. Also, I'm thinking of dressing up like Irma (Little Miss Top Seniority) for Halloween this year. Do you think they'll let me stay? Upon hearing the news, I had no choice but to make chocolate pretzel crack. And bring some to 45 of my closest dispatch friends the next day. So enough of the bad, sad news. Fun stuff happened this week, too. Like hanging out at the Richardson's. And they whip up fabulous meals in 5.8 seconds. While the kids play in the garden. And dig trenches in the backyard. To find "hidden gems" that Val buried under the dirt weeks before. I know some of my children's best childhood memories are going to be of playing there. And I love it. More than I tell them. Thanks Marc and Val. You guys really are the best. We also got some last days of summer pool time in. Ashlyn is 100% swimming on her own. No floaties. No adult in the water. She's also jumping off the high dive. And races her sister back to the edge to get out first. I helped my cousin start a blog on Tuesday. And as I was explaining it to her. I realized how mental it all is. Me: "You comment on other people's blogs." Her: "Do you actually know them?" Her: "Then why do you want to talk to them?" Go. And leave a comment. Kayla and Grandmums have big plans. Can't you see the cake pop wheels spinning? My eyes are red. From bleeding. I really can't believe it's Friday again. I'm thinking about renaming this little bloggie. Keeping up with the Instas. Life has just been getting in the way. Back to School madness has sucked every creative thought out of my head. I've been wanting to bake. But our normal camera lens is broken so I'd have to stand in my neighbors yard to take pictures. But at the same time so busy. Do you have kids in your life? I'm assuming most of you that read this, do. If you don't, get some. They're pretty great, you know. It's not just for moms and dads. But it is GREAT for moms and dads. It's changed the way I view Christian parenting. And will hopefully change the way I parent. This is a watermelon on our bed. She learns from her lame mama. Who can't use a real camera. The girls started school this week. Also means only one got their first day picture taken. We went to the ballpark on Tuesday night. Jason and Niki bought tickets for Dave's birthday. Even if he's wearing a Cubs shirt. Jason and Dave used to go to grammar school together. Jason moved away. 25+ years ago. Met and married Niki and came back in 2009. And rented a house down the street from our old one. But Dave and Jason hadn't seen each other or talked in 25+ years. 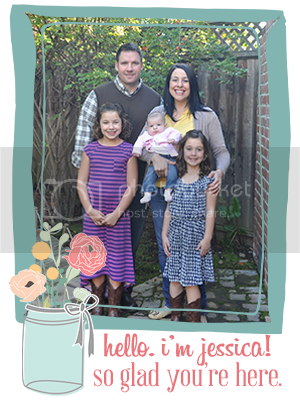 They, along with their two little girls, have been a charter family at Hope. There from the start. We love them. We don't, however, love the way the Giants are playing right now. Who are you and what have you done to our team??! I haven't been very nice to My Fitness Pal. And she calls me out on it. And Couch to 5k has kind of turned into Couch to Couch. Back to School messes me up.